Once again, I have 2 more looks for you using the products I received for Born Pretty Store. 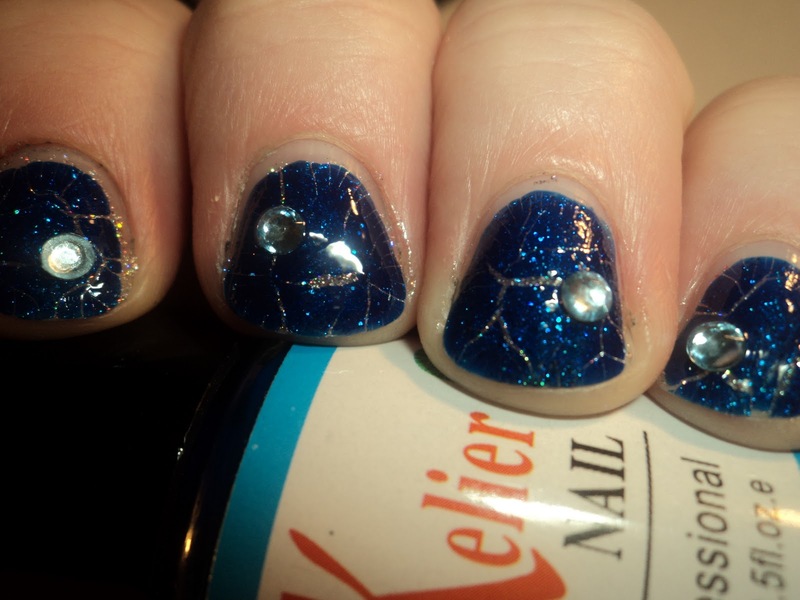 Today, I am showing you 2 uses of the crackle polish. This is one coat of green crackle over one coat of ChG Snow. I then topped it with a free-hand french in OPI Alpine Snow Matte. This one is my favorite of the 2. Be sure to enlarge it to see the detail, as I think this was a really cool effect. This is 3 thin coats of CC Hocus Pocus, from the new Halloween mini set, as the base. I then topped it with one coat of blue crackle. I absolutely love the way the glitter peeks through the cracks, and how it shines through the jelly-ness of the crackle polish. And then, because I have no "enough" meter, I randomly added light blue rhinestones. There is also 2 coats of TC, one before and one after the rhinestones. All of the nail art products used in these looks can be found at Born Pretty Store. I hope I'm not driving you all nuts with the nail art looks. I just love coming up with all these ideas. I think I have one, possibly 2 more, in my head (one using dried flowers). Nail art products from Born Pretty Store and CC Hocus Pocus were sent to me for review. I love crackle polishes! The ones I've got from P2 seem to crackle a lot more than yours. 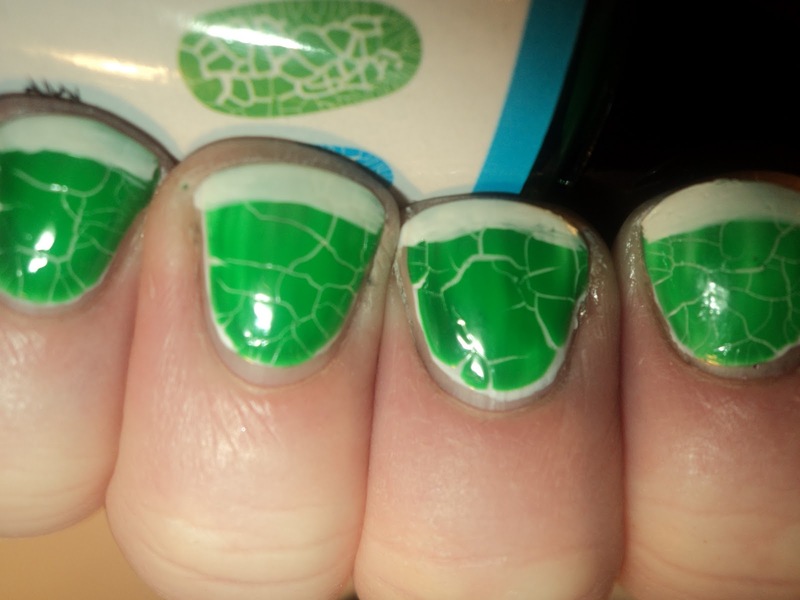 I don't think we can get crackle polishes here in the US. These actually crackle quite a bit of you use one coat of the crackle over one coat of the base color. Though, I have seen some that crackle quite a bit more. These have a tendency to look very "vein-y".